Bats are flying around this haunted tree and need help with missing numbers. This Halloween worksheet will help your child learn to fill in the missing numbers between 70 and 76, and give him some writing practise too. In this Halloween maze, follow the even numbers out of this scary graveyard. But watch out -- there are odd numbers waiting to trip you up! Ask your child to wear her witch hat and do some magic to fill in the missing numbers in the right order. Do some Halloween counting to fill in the missing numbers on the tombstones! Ask your child to practise Halloween counting to fill in the missing numbers. Your first grader will practise putting numbers in order as she explores the cave. Make maths practise fun, with a jungle numbers trek! Your little adventurer will practise putting big numbers in the right order. Find the hidden temple in this jungle numbers worksheet. Kids will order numbers in order to clear a path to the legendary temple. Go on a jungle numbers adventure! Your young explorer will cross bridges, avoid crocodiles, and order numbers to get to the hidden temple. Are you ready for a jungle numbers adventure? Little explorers will get to put big numbers in the right order as they complete tricky tasks. Make maths practise fun, with a jungle numbers trek! Little adventurers will put big numbers in the right order to help find a long-lost temple. Review numbers and counting skills with your first grader. This practise quiz is a great intro to standardized testing. Young adventurers will make their way through the jungle by ordering numbers. Arrange numbers from greatest to least or vice versa to make your way to a temple. 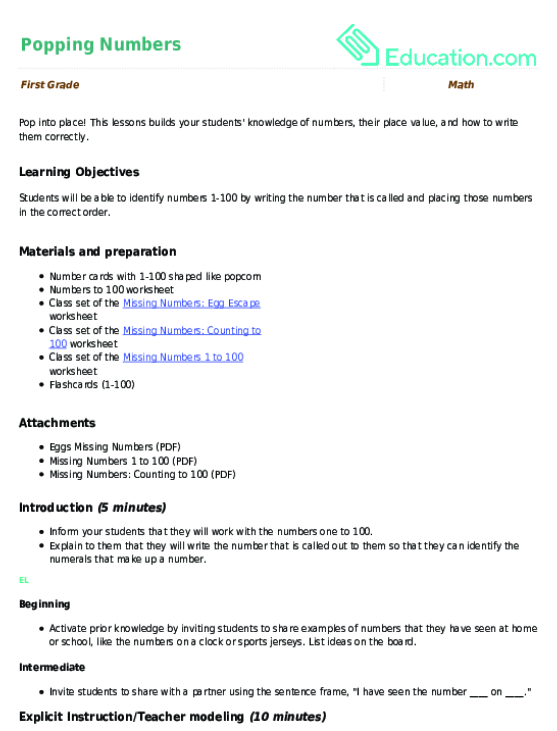 This lessons builds your students' knowledge of numbers, their place value, and how to write them correctly.